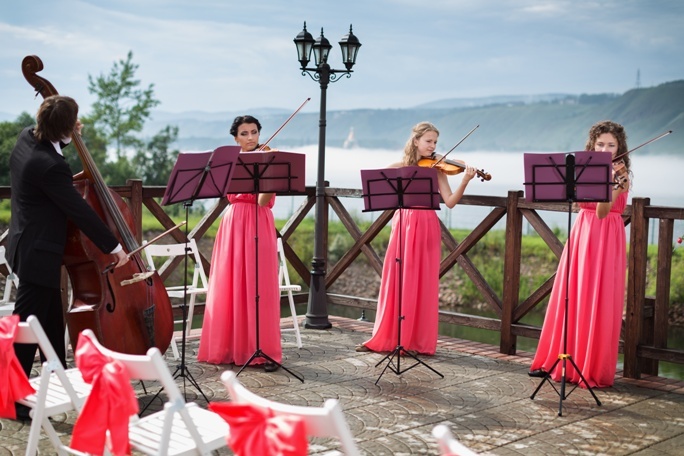 Wedding music must be one of the nicest parts of wedding planning, right? Well, not so much for the future bride that has already been loaded with endless tasks and important decisions to make like choosing her wedding style, the wedding venue, etc. When it comes to dealing with musicians, DJs and the like, always have in mind that they are made of different dough. They are often absent minded and not paying much attention to details – after all, they are in the art sphere and know very well that they can get away with (almost) anything. To prevent any unpleasant surprises from happening, be specific about the music you want to be played. I am talking about “a-playlist-emailed-in-advance” specific. Unless you are a fan of surprises, that is. If there’s one question, whose answer is more important than “Would you marry me?” it’s “What should our 1st dance song be?” Unless you are among the very few chosen couples who already have “their song”, you must already sweat a little just by the thought that you will have to make this important decision. Our advice is to approach this matter wisely and not spend the next few weeks in YouTube browsing though Billy Joel’s discography… Prepare a short list of your top 5 romantic songs instead and make the groom decide which one is his favorite among them and you’re all set! Don’t underestimate your Never-Play-These-Songs list! You may find it obvious that a person who is not a fan of Macarena will most likely not tolerate the Gangnam Style either, but your DJ may turn out to be oblivious to this logical conclusion. That’s why you should hand him your Do-Not-Play list way before the big day and even ask for his written confirmation that no song from this list will be played at your wedding.